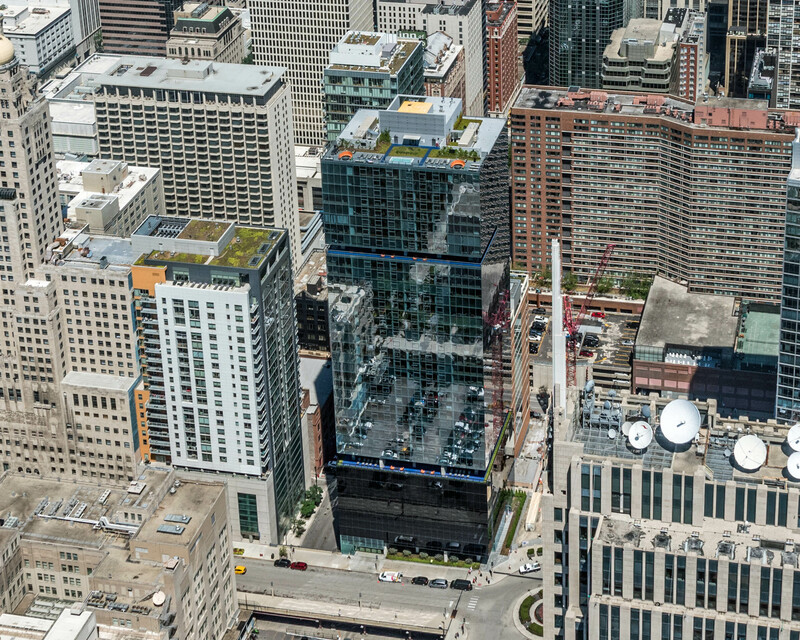 The 42-story, 325-unit Aston apartments broke ground at 200 E Illinois St in the fall of 2011 and welcomed its first residents late in the summer of 2013. DeBartolo Development and Optima Inc are the developers of Aston and David Hovey is the architect. Aston has convertible, one-bedroom, two-bedroom and three-bedroom floor plans. 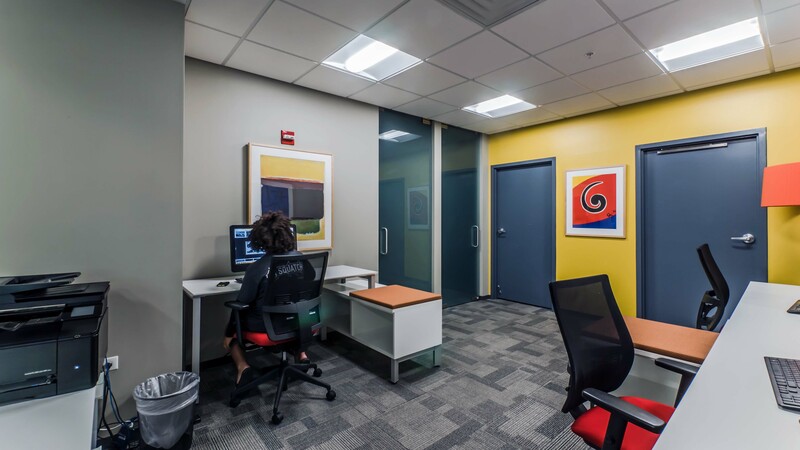 Floor plans and rent ranges are available online. 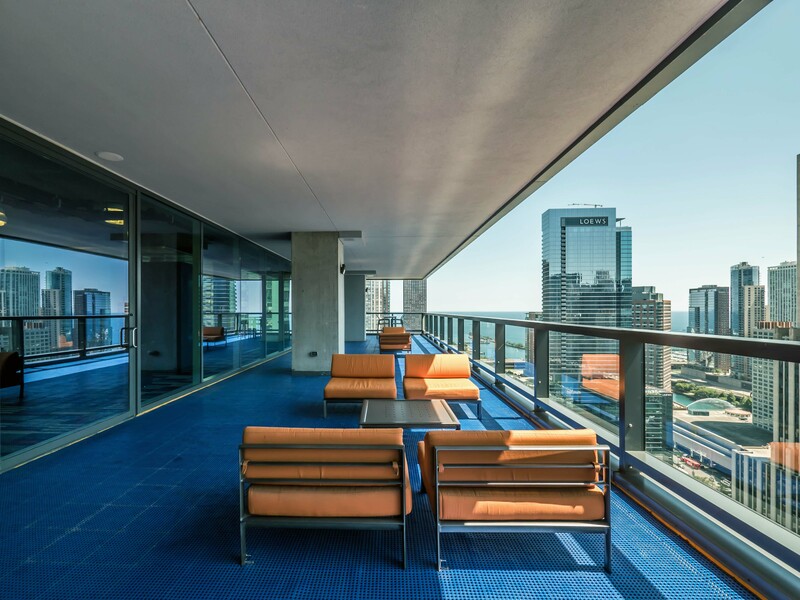 The apartments have laminate bamboo flooring in living areas, carpeted bedrooms, and full-wall floor-to-ceiling windows. Kitchens have granite countertops, under-mounted sinks, stainless steel refrigerators, built-in ovens and microwaves and in-counter cooktops. 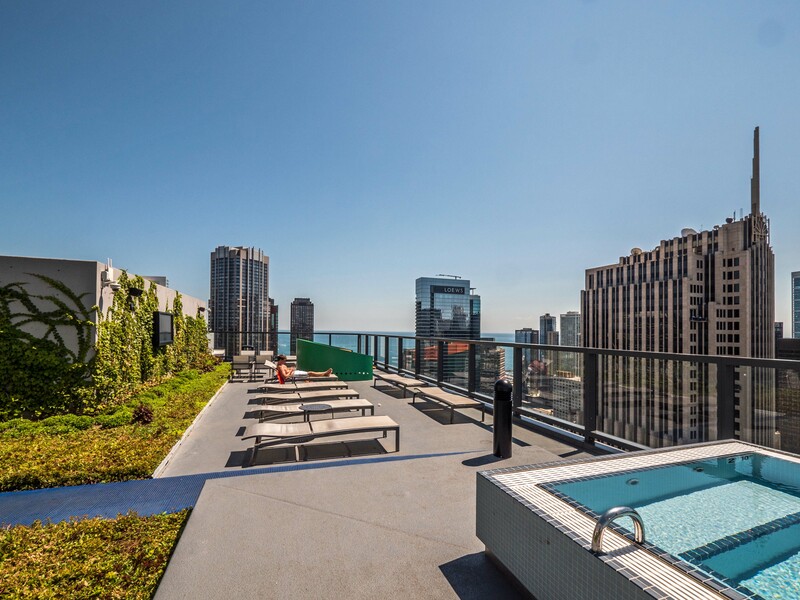 Convertible and one-bedrooms have two-burner electric cooktops – a first for luxury apartments in downtown Chicago. The oven and microwave are next to the refrigerator in a number of the floor plans, which some may find inefficient. Cabinet and counter space is limited in a number of the floor plans. 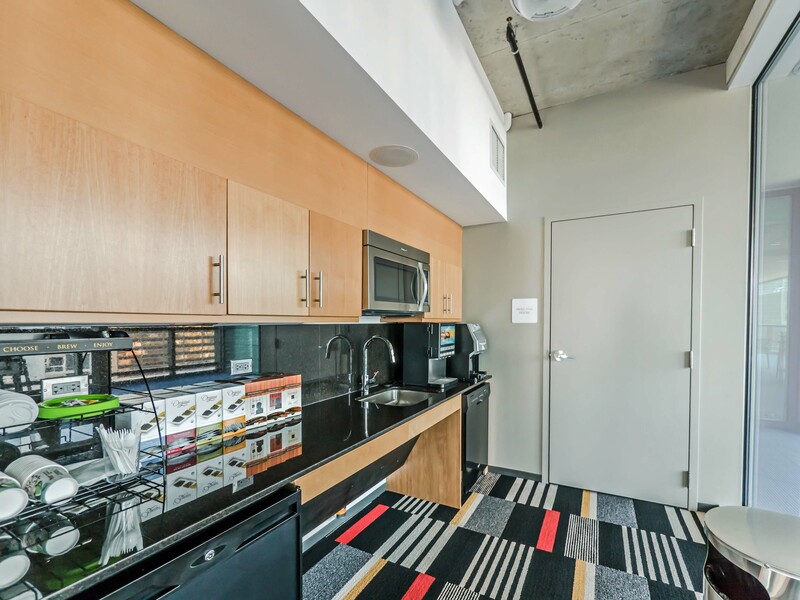 Some of the floor plans have generous pantry space. 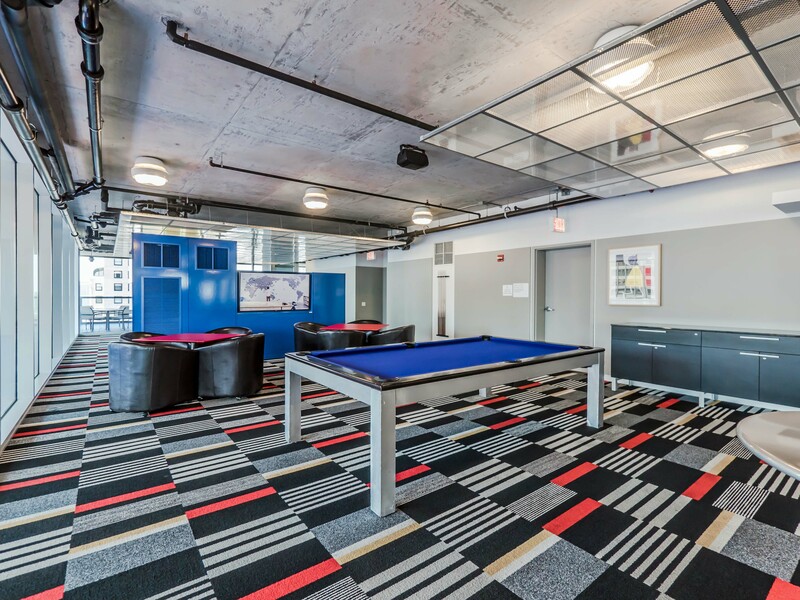 Aston’s extensive amenities are distributed across several levels. 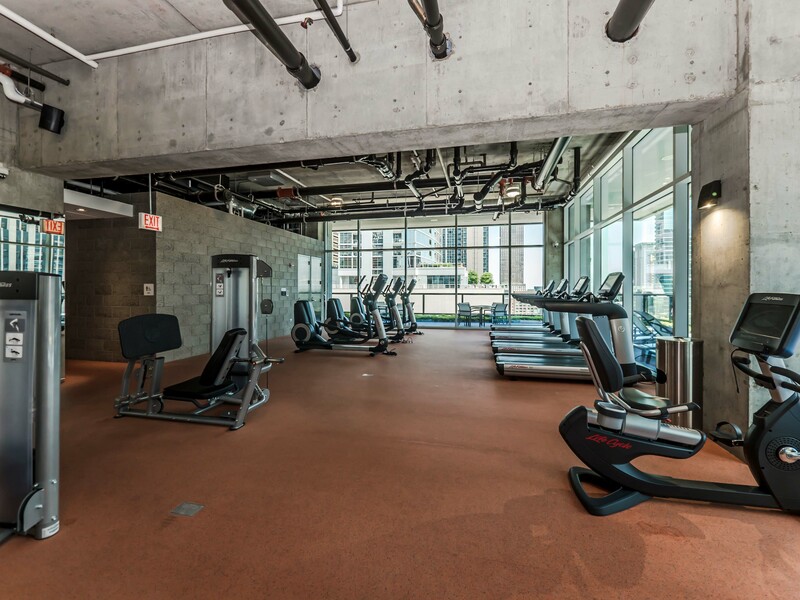 The 10th floor “fitness and aquatic center” has 14-foot glass walls that wrap the entire perimeter. Sliding windows open the 15-meter pool and hot tub to the outdoors, weather permitting. 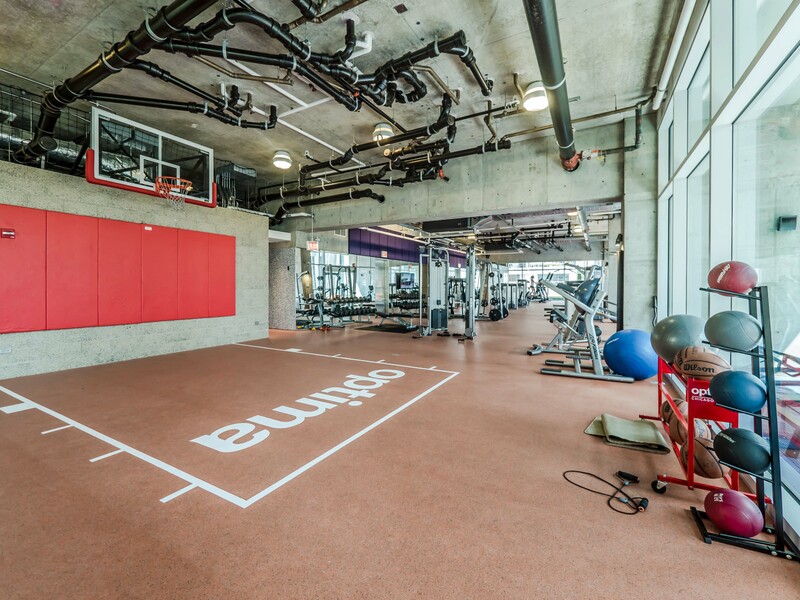 The fitness center spans the south half of the floor and has both cardio and strength-training equipment. 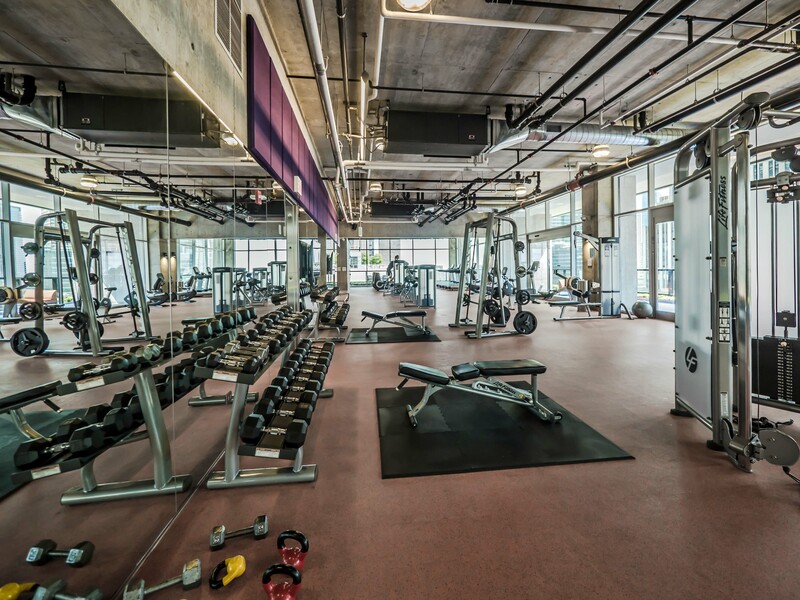 There are spa and steam rooms and locker rooms adjacent to the fitness center. 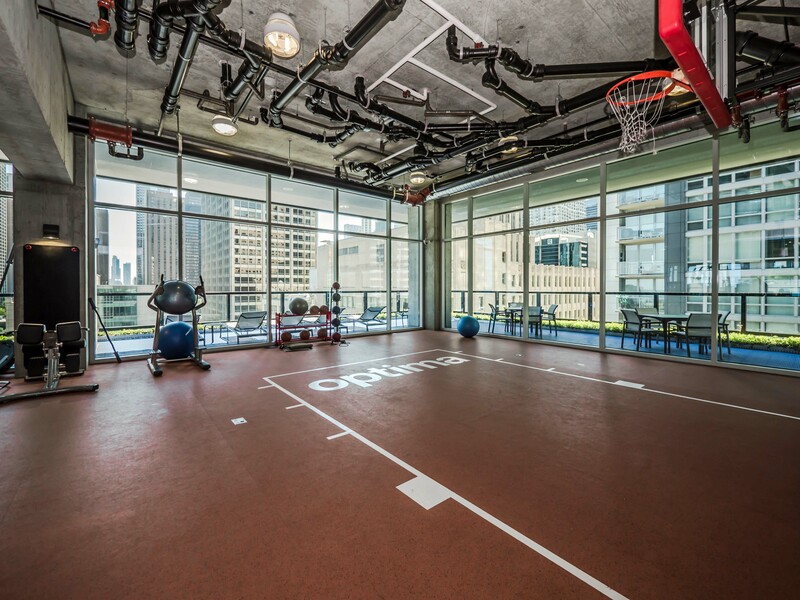 There’s a basketball court that can double as a yoga studio. 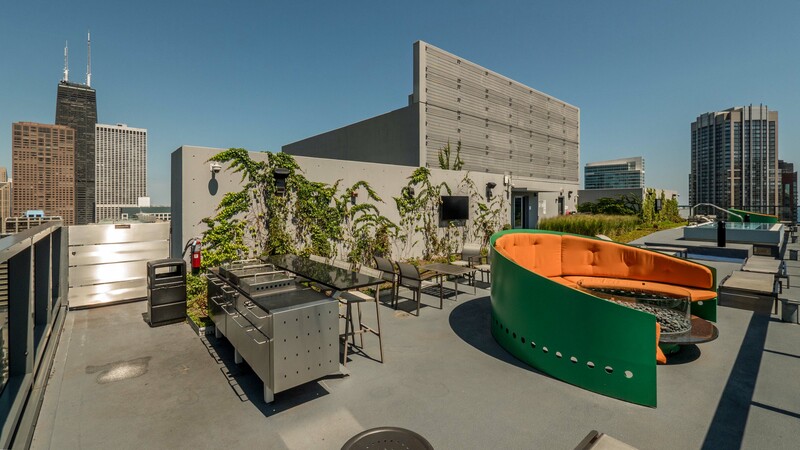 A wraparound outdoor terrace has seating and grilling areas. 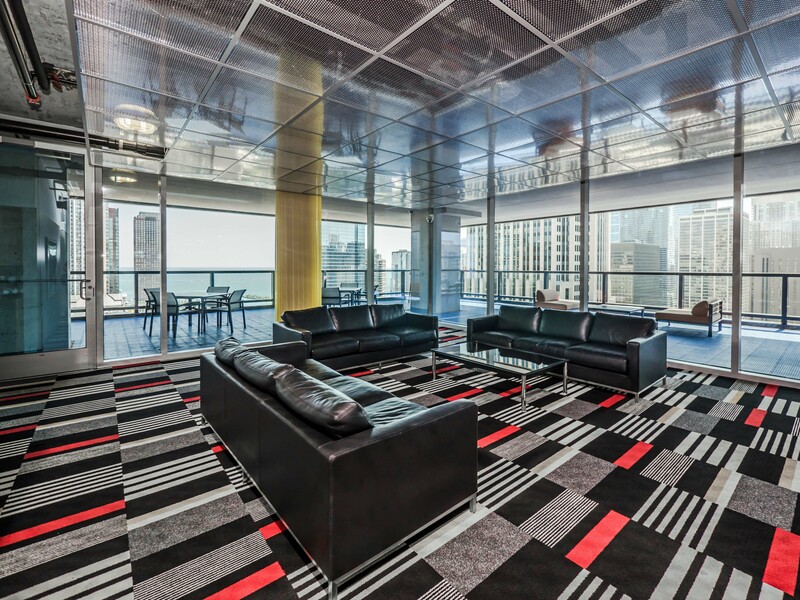 A 32nd-floor “residents’ club” has a sprawling lounge with multiple seating areas, audio-visual equipment, gaming tables and two catering bars. A wraparound terrace offers outdoor grills, seating and tables. 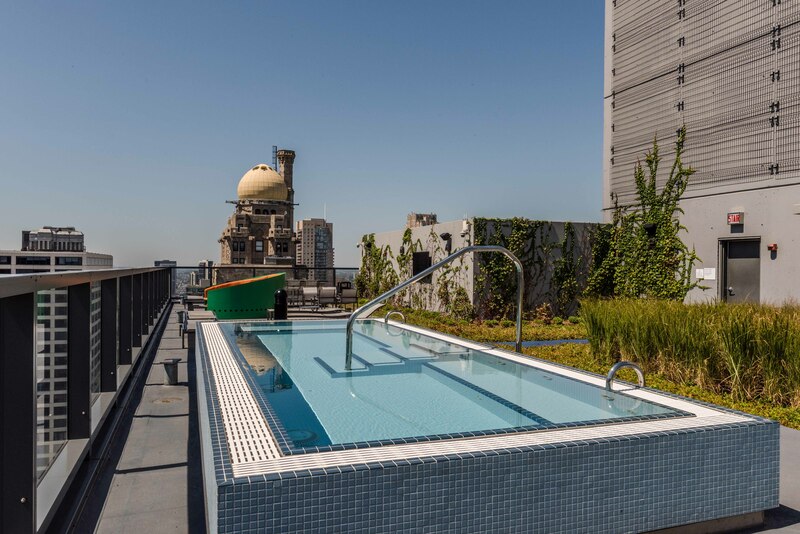 The building is topped by a green roof and sundeck with a large hot tub. 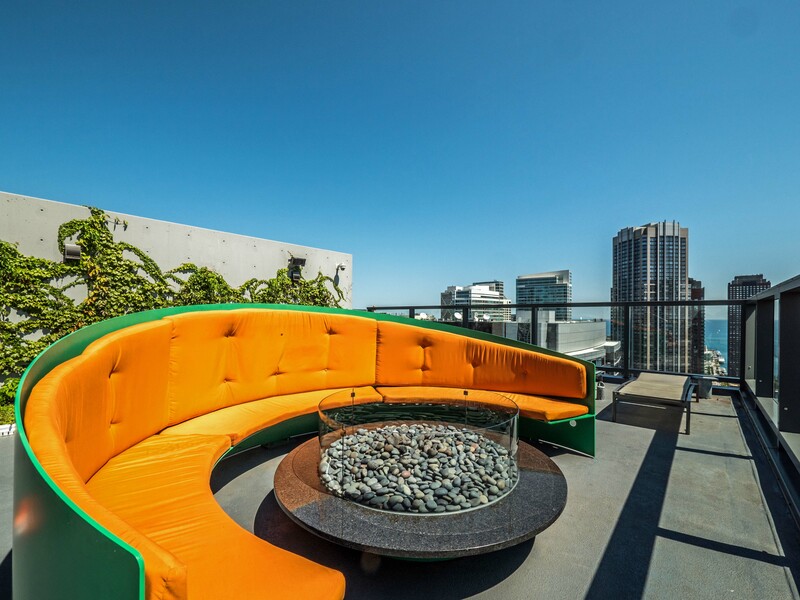 There are two fire pits wrapped by semi-circular seating areas and a grilling area. There’s a business center with computer workstations and a printer one level below the lobby. 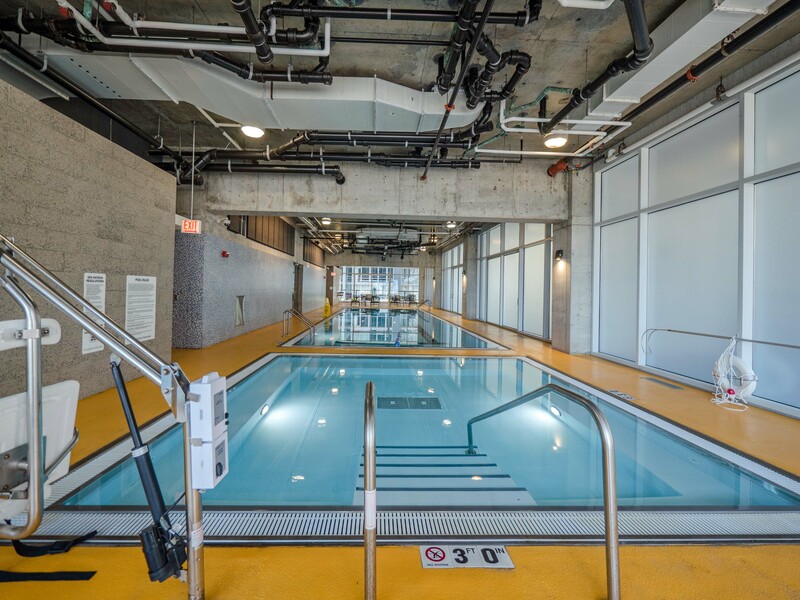 The 238-car on-site parking garage has bicycle storage space and other storage facilities. 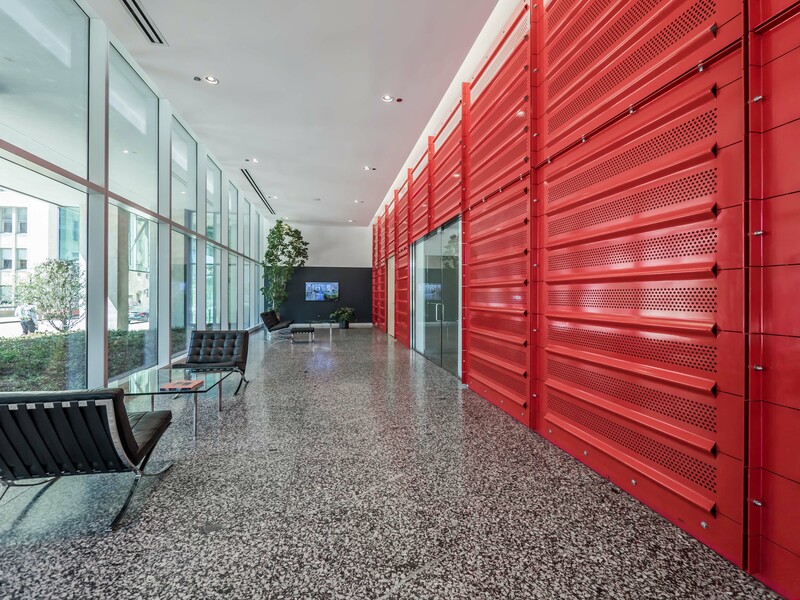 The building has pet-friendly floors. 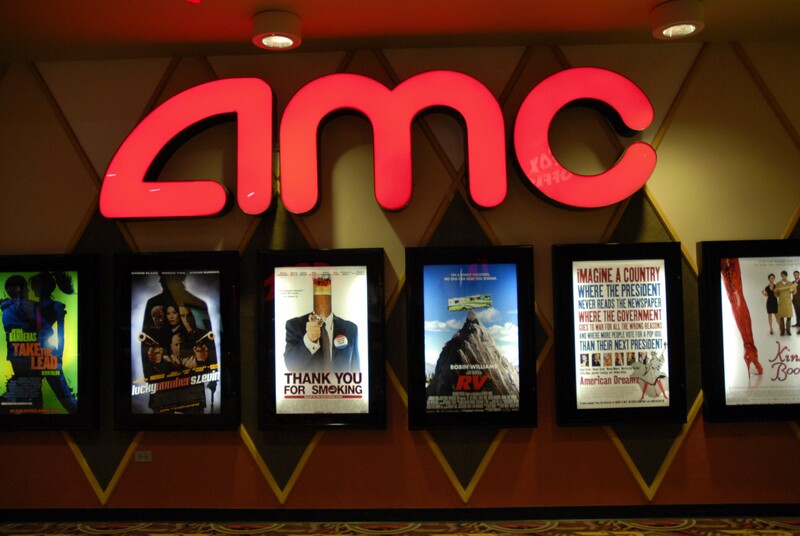 There is on-site management and leasing staff and 24/7 door staff. Illinois is a multi-level street at Aston. The building’s lobby is at the upper level and garage access is on the lower level. 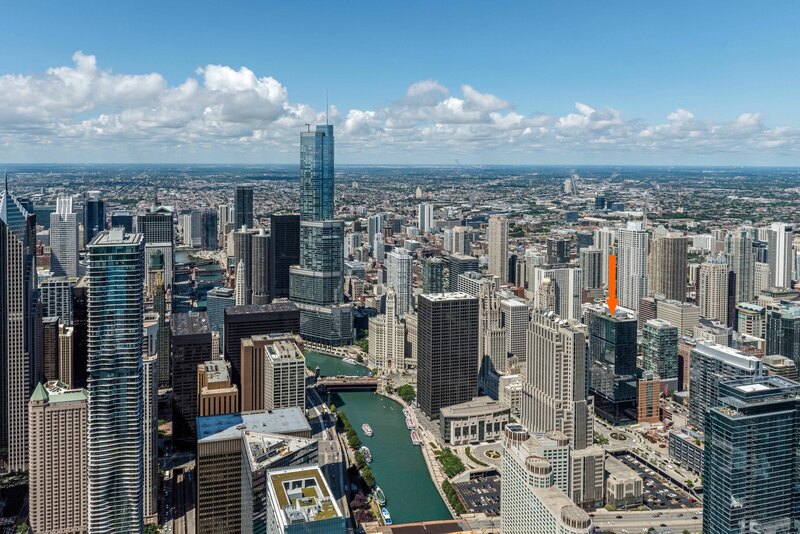 The upper level of Illinois St provides pedestrian access to Michigan Avenue while the lower level accommodates through traffic headed for Navy Pier and the lakefront. Shopping. Treasure Island, which bills itself as “America’s most European supermarket,” is a few blocks northeast. Target Express recently opened in October 2015 two blocks east of the building. 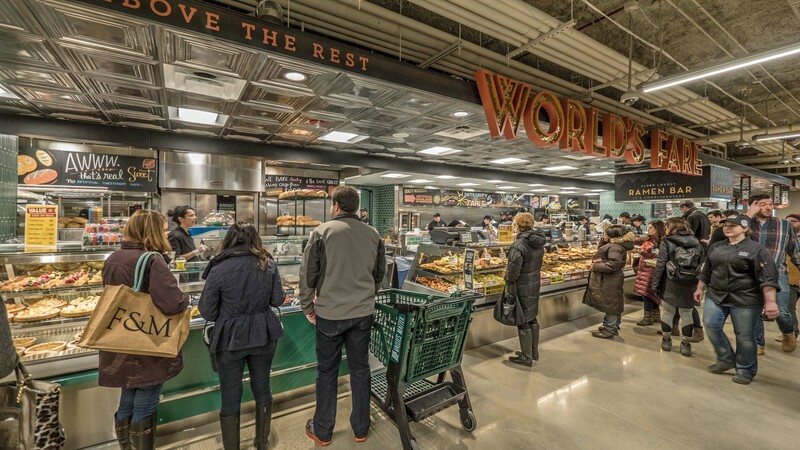 Whole foods recently opened just east of Aston. 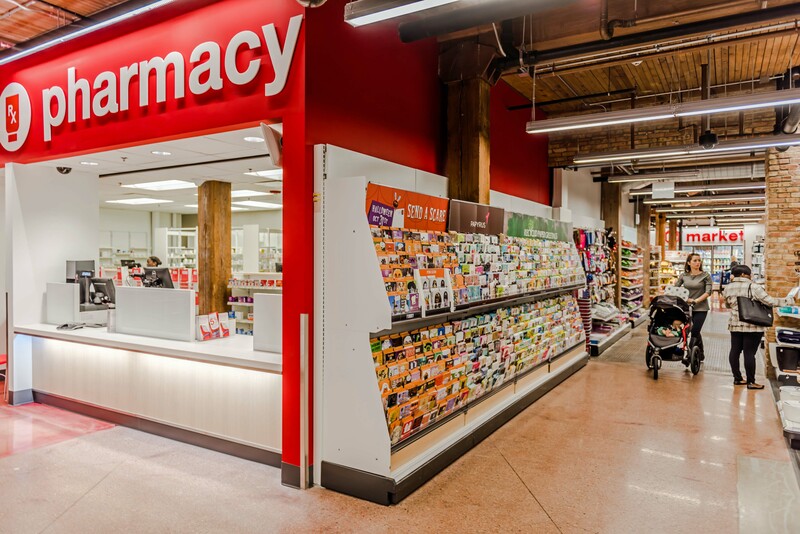 A Walgreen’s Pharmacy is a short walk east of Aston. Michigan Avenue’s Magnificent Mile shops begin a block west of the building. 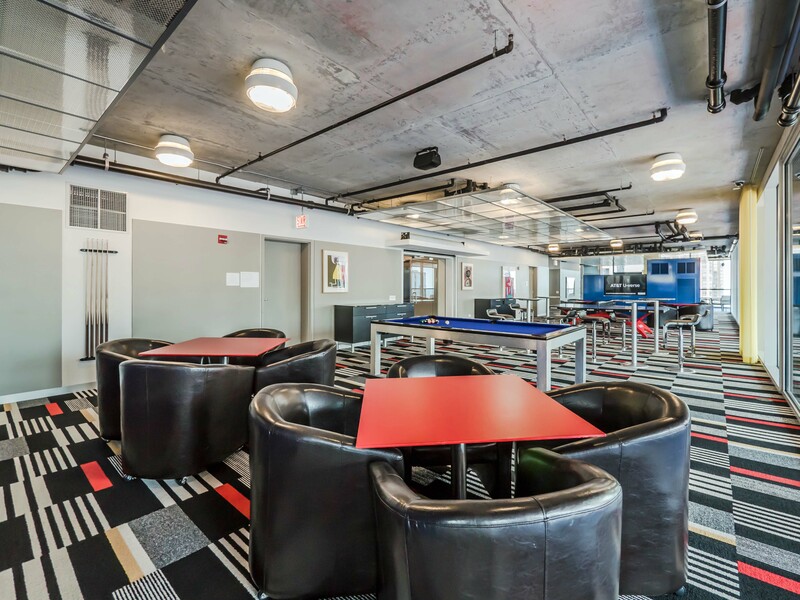 The building’s near-Michigan Ave location is close to the River North neighborhood, and there are literally 100s of dining and nightlife options within blocks of Aston. 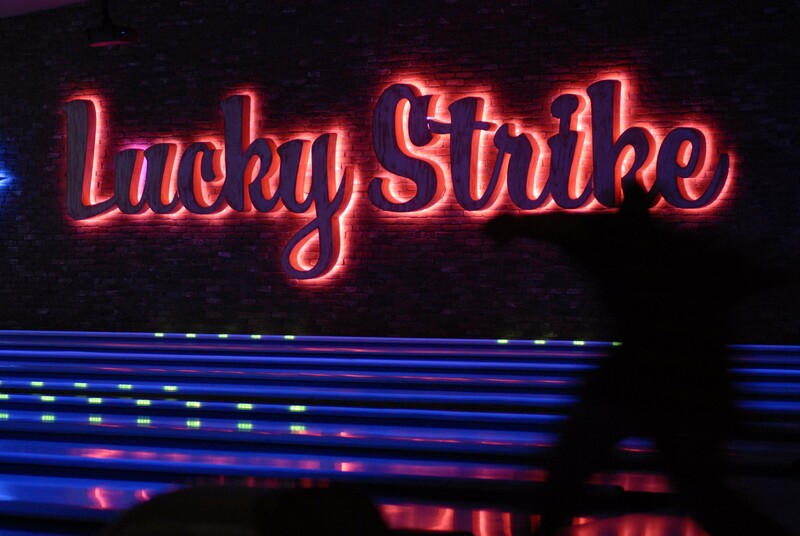 If you’re a bowling or movie buff you can loft a few over the lanes at Lucky Strike then head downstairs to catch a movie at AMC River East, just east of Aston. Parks, recreation. Aston has less than optimal park access. 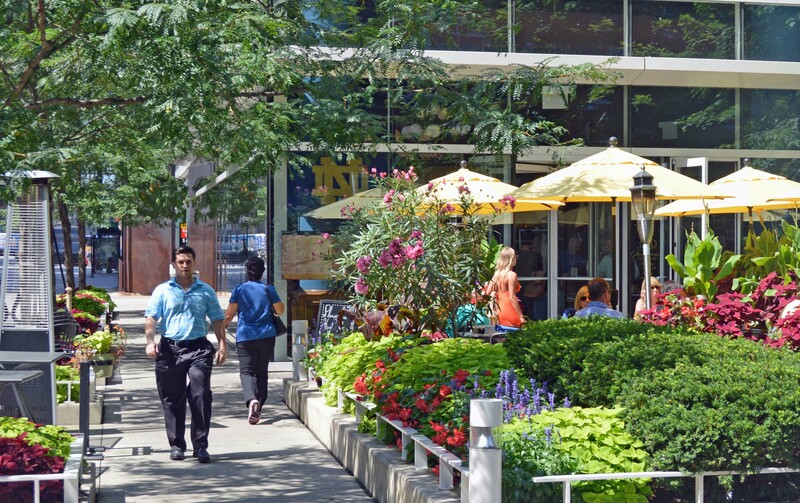 It’s three blocks west of Navy Pier, Jane Addams Memorial Park, Ohio Street Beach and the Lakefront Trail. 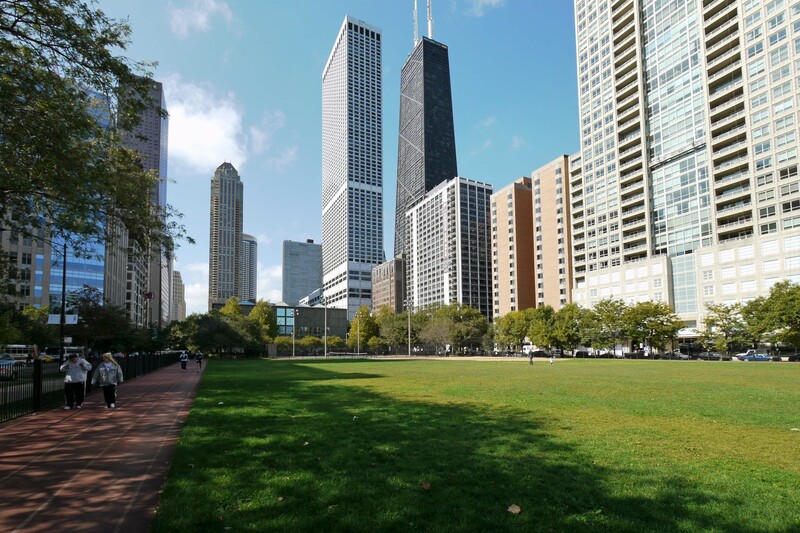 There is a tree-lined plaza with benches directly across Illinois from the building. Lake Shore Park, which has a running track, softball fields, tennis courts, a playground and a small field house, is half a dozen short blocks north. Transportation. 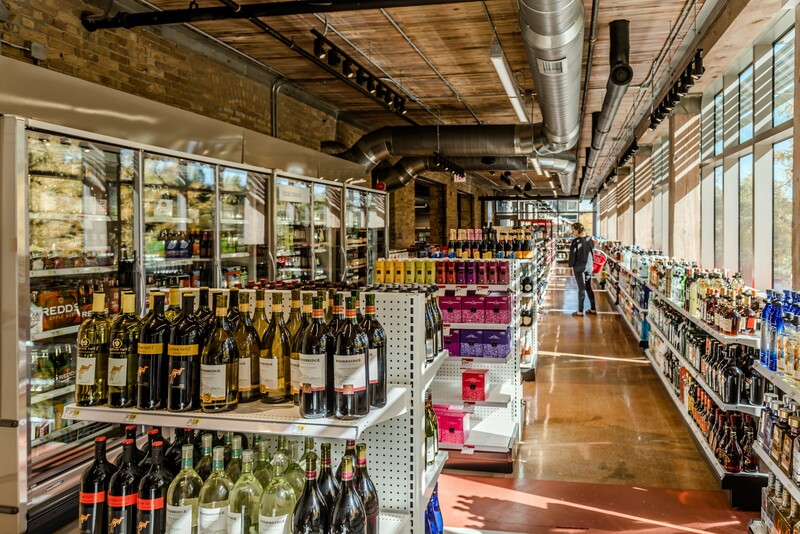 Access to CTA and Metra train lines is inconvenient from Aston. 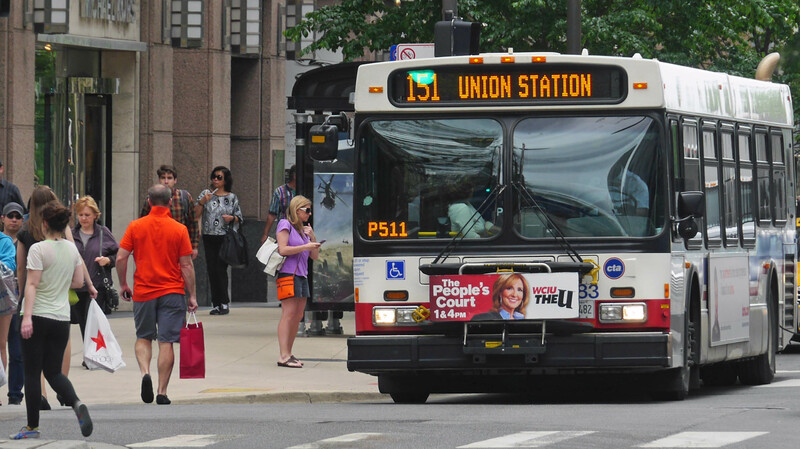 CTA bus service, via multiple routes, is excellent along Michigan Ave and lower Illinois (one-way East-bound) and Grand Ave (one-way West-bound). Many Aston residents are likely to opt for cabs as their preferred mode of public transit, and cabs are always plentiful. 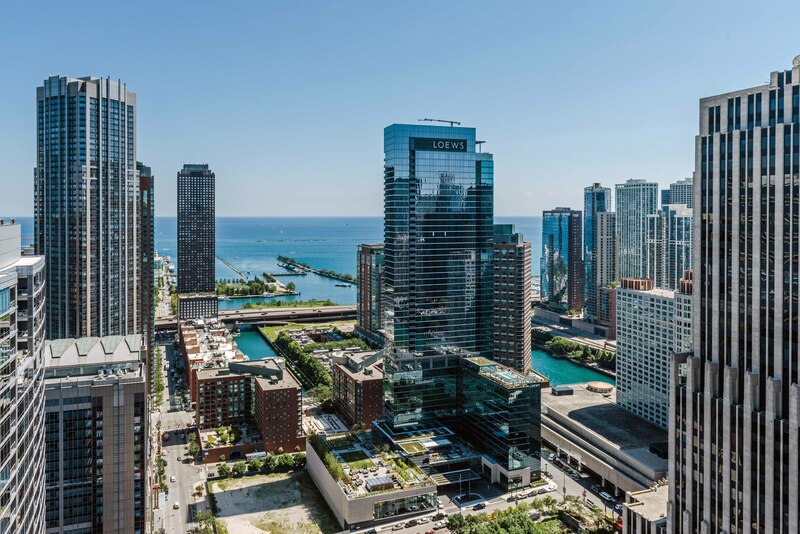 Aston has convenient access to and from Lake Shore Drive. Reaching I-90/94 and the rest of the city’s expressway grid can often be time-consuming. Expect near-gridlock conditions when there’s a major event in the neighborhood. 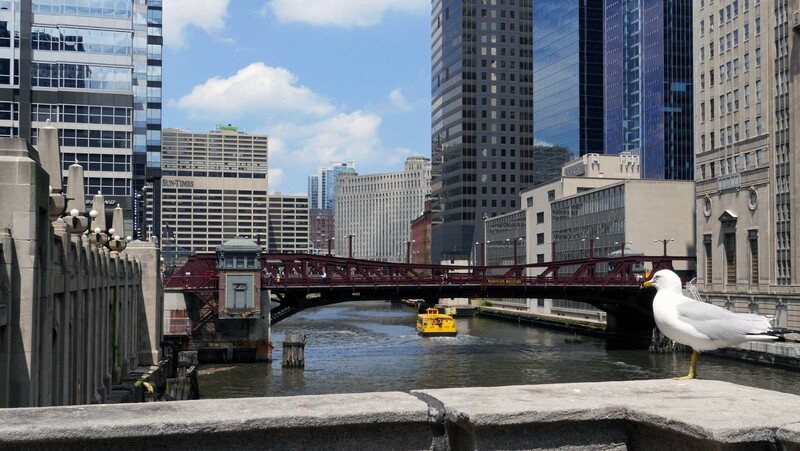 Chicago Water Taxi offers seasonal commuter service between Michigan Avenue and Madison Street, affording Aston residents a pleasant, low-cost way to reach the Loop and the Willis Tower.